CIVICUS: World Alliance for Citizen Participation is an international alliance of members and partners which constitute an influential network of organisations at the local, national, regional and international levels, and span the spectrum of civil society including: civil society networks and organisations; trade unions; faith-based networks; professional associations; NGO capacity development organisations; philanthropic foundations and other funding bodies; businesses; and social responsibility programmes. CIVICUS has worked for over a decade to strengthen citizen action and civil society throughout the world, especially in areas where participatory democracy and citizens’ freedom of association are threatened. CIVICUS has a vision of a global community of active, engaged citizens committed to the creation of a more just and equitable world. The International Network for Economic, Social and Cultural Rights (ESCR-Net) is a collaborative initiative of groups and individuals from around the world working to secure economic and social justice through human rights. ESCR-Net seeks to strengthen the field of all human rights, with a special focus on economic, social and cultural rights, and further develop the tools for achieving their promotion, protection and fulfillment. Through ESCR-Net, groups and individuals can exchange information, develop a collective voice, amplify their actions, develop new tools and strategies. By facilitating joint actions, enhancing communications and building solidarity across regions, the network seeks to build a global movement to make human rights and social justice a reality for all. The Access Initiative (TAI) is the biggest global network of civil society organizations that work for the people’s right and capacity to influence in decisions about natural resources of their communities. Working from their respective countries, TAI partners build coalitions and evaluate their government’s performance in giving public access to information regarding governmental decisions, citizen participation in decision-making and access to justice when their access to information, participation and environmental rights are violated. The right to obtain information, right to participation in governmental decisions and scope of justice are a group of valuable rights called “access rights”. TAI partners use evaluations to advocate for reforms, citizen awareness, and to compromise governments in a constructive dialogue to achieve changes in their countries. The Tobacco Smoke Free Argentinian Alliance (in Spanish, ALIAR) is a coalition of more than 100 of civil society organization and persons that work in network, to promote legislation of tobacco control, particularly of 100% smoke free environments in all Argentinian territory. The objective of ALIAR is to protect population health of devastating effects of other people’s tobacco smoke and discourage the consumption of tobacco through promotion and strengthening of public health policies. Exposition to tobacco smoke is a public health problem that requires the conjunct action of governments and civil society. The implementation of effective policies that provide universal protection is the only way to guarantee all people exercise of human rights, such as right to life, right to physical integrity, right to health and right to decent and equitable working conditions. The Coalition for Human Rights in Development (formerly Bank on Human Rights) is a global coalition of over 50 social movements, civil society organizations, and grassroots groups working to ensure that all development finance institutions respect, protect, and fulfill human rights. It strives to bring more coordination to a global movement led by communities and supported by civil society organizations. Communities, indigenous peoples, and civil society organizations have won impressive gains in development policy over the years. But too often, we work in isolation – fighting against different institutions, different projects and policies, in different countries, with seemingly different demands, proposals, and interests. By uniting our efforts, sharing strategies and resources, and coordinating our voices, we can build a global movement to ensure that development funding – wherever it comes from – respects human rights. The Coalition for Human Rights in Development works to support members’ advocacy at the local, national, and international level. The Coalition helps to bridge different communities and to bring in new voices to this work, connecting the human rights and development arenas, and ensuring that advocacy is informed by and accountable to frontline communities and grassroots groups most impacted by development activities. The Coalition for Human Rights in Development supports members in a variety of strategies and approaches, from “inside” policy advocacy and development of technical tools, to “outside” community mobilization and capacity building. The Coalition directs its advocacy at some of the most influential development institutions, including strengthening the World Bank’s social and environmental “safeguard” policies. These safeguards are seen as global benchmarks for development, setting the terms not only for World Bank activities, but for how governments, banks, and corporations around the globe do business. The Coalition supports members’ national level advocacy to build transparency and accountability around development policy. Together we are developing human rights-based policy tools that can apply across development finance institutions, from national and regional banks, to the New Development Bank recently launched by the BRICS (Brazil, Russia, India, China, and South Africa). As the Coalition grows, the Coalition for Human Rights in Development is building the foundation to support communities facing development-related human rights issues, and to enable communities to create and enact their own development plans. Campaign for the Right to Abortion is a broad and diverse federal alliance, which articulates and recovers part of the history of the struggles developed in our country in pursuit of the right to legal, safe and free abortion. It has its seeds in the XVIII National Encounter of Women held in Rosario in 2003 and in the XIX ENM developed in Mendoza in 2004. Driven by feminist groups and the women’s movement, as well as women belonging to political and social movements, currently has the support of 305 groups, organizations and personalities linked to human rights organizations, academics and scientists, workers / is health, trade unions and various social and cultural movements, including peasant and education networks, organizations of unemployed people, recovered factories, student groups, communicators and social communicators, etc. They assume a commitment to the integrality of Human Rights, and defend the right to abortion as a just cause to recover the dignity of women and with them, that of all human beings. Achieve the debate and the approval of a legal norm that decriminalizes and legalizes abortion in Argentina. Healthy Latin American Coalition (CLAS) is an alliance of more than 200 non-governmental organizations in Latin America whose purpose is to prevent and control noncommunicable diseases (NCDs), which are the main threat to the lives of the region’s inhabitants. The general objective is to promote effective public health measures through the articulation of actions throughout Latin America. National Coalition to prevent obesity in children and adolescents is a network of civil society organizations created in November of 2017, on the initiative of FIC Argentina and UNICEF Argentina. Currently, it is made up of 30 organizations from all over the country. Its main objective is to promote public policies that improve the food environment and, in this way, contribute to the prevention of obesity in children and adolescents. 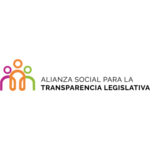 Social Alliance for Legislative Transparency is a proposal that has the support of the United Nations Fund for Democracy (UNDEF) and aims to work on a common agenda on the priorities of the Congress. This alliance is formed by representatives of civil society organizations, academics and journalists convened by the Legislative Directory Foundation. The multisectoriality aims to achieve a greater impact for the fulfillment of collective demands. It also implies an understanding on the part of organizations and journalists of the importance of joining the demand for greater openness and access to information. In order to achieve greater access to information, an expansion of social participation, and thus a construction of laws and public policies of better and higher quality. The Argentine Network for International Cooperation (in Spanish, Red Argentina para la Cooperación Internacional, RACI), produces and spreads periodically public information related to International Cooperation. Thereby, it seeks to democratize its access and provide a solid and reliable source of information to individuals and institutions. The Argentine Network for International Cooperation (RACI) is an organization made up of 99 Civil Society Organizations (CSO) from Argentina. The organization seeks to be a link between CSO, which work or want to do so with the support of the International Cooperation and International Cooperation Agents, who perform social investment for development in the country. Its main objective is to create a space for exchange and dialogue between both actors in order to strengthen the institutions in their access to the International Cooperation, and, subsequently, to contribute to the social transformation of Argentina. RACI wants to democratize the access to the funding sources, generate and disseminate information related to foreign help, develop and optimize the capabilities and resources of CSO, and collaborate with the agents of the International Cooperation for the optimization of their actions and the search for solutions to various problems. Through its areas and programs, the network contributes with the institutional strengthening of CSO through seminars, workshops, lectures and discussions, in order to develop new resources and capabilities that facilitate access to International Cooperation. Among the tools that it gives to the civil society, there are several studies and publications on trends and statistics of international aid, such as the Handbook to facilitate access to International Cooperation- A tool of strengthening for civil society organizations, the Directory of International Cooperation – A resource guide for civil society organizations, and the System of Information on Cooperation for Development (SICAD). The Cordoba Environmental Forum is a space for participation constituted in 2006 by people and institutions related to environmental issues and citizen participation. The objective of the Forum is to generate a space for debate on the environmental issue, independent of the interests of governments, political parties and companies, which constitutes a pole of proactive opinion with the aim of promoting an adequate environmental State policy; and that it be built as a qualified, reliable and independent environmental reference to the media and public opinion, which allows the population to be properly informed, to influence public policies and business decisions, to create environmental awareness, and to promote citizen participation and access to public environmental information. Its mission is to promote the interaction of people committed to the environmental issue, in pursuit of a synergy that affects environmental public policies in an integral manner, favors the installation in the social consideration of environmental problems and promotes their effective resolution. In order to fulfill the mission, the main activities of the Forum are to debate about the environmental problems that the Forum selects, investigating its causes, consequences and proposing alternative solutions; inform citizens through the media and information technologies; promote citizen participation in environmental issues; generate recommendations that influence the decisions of public policies and those of the private sector; and monitor compliance with the recommendations. The Regional Working Group on Financing and Infrastructure (Grupo Regional sobre Financiamiento e Infraestructura, GREFI) is made up by four civil society organizations from the Latin America and Caribbeanregion (LAC): Asociación Ambiente y Sociedad (AAS) from Colombia; Derecho Ambiente y Recursos Naturales (DAR) from Peru; Fundar, Centro de Análisis e Investigación from Mexico; and the Fundación para el Desarrollo de Políticas Sustentables (FUNDEPS) from Argentina. Over the last several years we have had the opportunity to work together, connecting our work agendas and identifying a series of common objectives and strategies. Also, in different ways, we all have experience in the monitoring of international financial institutions, the defense of human rights, local case support, work with the regulatory framework on transparency and access to information, as well as environmental regulations. This has allowed us to carry out complementary work and joint actions. Thus, in the spirit of collaboration and mutual cooperation, and with the aim of strengthening our work and achieving a greater impact, we have decided to create a working group. This is being carried out in such a way as to generate knowledge and affect the processes of international financial institutions and development banks through concrete actions. We believe that by working together with other actors from diverse countries in the region we can contribute to the improvement of transparency and access to information policies, achieving effective participation mechanisms and strengthening social and environmental standards with an effect on local, national and regional processes. Through these actions we aim to propose sustainable alternatives to the financing process in regional development infrastructure. Our decision to conform the Grupo Regional arose from the intention of having a more strategic and effective manner to address the regions complex financial architecture, which has resources from multiple financial institutions. The initial analysis had the aim of understanding the dynamics and infrastructure focused resource flow of the different actors in the region, and hence to have a better understanding of the context. This analysis can be found in our publication: Overview of Infrastructure Financing in Latin America. What kind of regional context is the New BRICS Bank entering? The document was presented during the annual meetings of the World Bank and the International Monetary Fund in October 2014 in Washington, D.C. and was discussed in a parallel event during the Conference of the Parties (COP-20) in Lima, Peru in December last year. This scenario allows us to anticipate and address not only the persistence but also the worsening of existing tensions between the infrastructure projects and: (a) human rights; (b) collective rights of indigenous peoples; (c) respect for the environment; and (d) commitments to sustainable development and climate change. Which means diverse challenges for the Latin American civil society regarding advocacy on at least three levels: (a) with each of the financial institutions; (b) on a regional level and specifically in each of the countries in the region; and (c) locally, as the cases require support in regards to specific projects in the region. Therefore, we have defined three initial focuses for research, collaboration and advocacy: 1) infrastructure and energy; 2) Chinese investments in the region; and 3) transparency, social and environmental standards in the financial institutions. Based on these focuses we hope to generate knowledge and to work with other organizations in the region. The Global Alliance for Media and Gender (GAMAG) is a global movement to promote gender equality in and through the media. – Develop and sustain gender and media priorities within a framework of broadframe, development agencies. 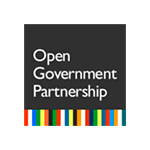 Open Government Partnership is a multilateral initiative that seeks to ensure concrete commitments of national and subnational governments to promote open government, empower citizens, fight corruption and use new technologies to strengthen governance. In keeping with its spirit of multisectoral collaboration, the OGP is supervised by a steering committee that includes representatives of governments and civil society organizations. In November 2012, the Argentine State expressed the clear conviction to work together with the OGP in the coordination of actions with those countries that share the principles of Open Government. It recognizes that people from all over the world demand more transparency from their governments. They ask for greater civic participation in public affairs and look for ways to make their governments more transparent, accountable and effective. It recognizes that countries are in different stages of their efforts to promote transparency in government, and that each one pursues an approach compatible with their national priorities and the circumstances and aspirations of their citizens. Accept the responsibility to take advantage of this moment to strengthen commitments to promote transparency, fight against corruption and use new technologies to make government more efficient and accountable. It highlights the value of openness in the commitment to citizens to improve services, manage public resources, promote innovation and create safer communities. It embraces the principles of transparency and open government with a view to achieving greater prosperity, well-being and human dignity in the countries that sign the declaration and in an increasingly interconnected world. Increase the availability of information on government activities. Apply the highest standards of professional integrity in all its administrations. 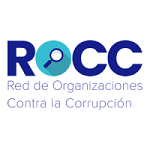 Network of Organizations against Corruption (R.O.C.C.) is a national space for articulation and joint actions that seeks to generate incidence in anti-corruption policies and the social control of State management. It is made up of Poder Ciudadano, the Center for Research and Prevention of Economic Crime (CIPCE), the Civil Association for Equality and Justice (ACIJ), Nuestra Mendoza Foundation, Latin American Center for Human Rights (CLADH), Acción Ciudadana Areco, Foundation for the Development of Sustainable Policies (Fundeps), Transparencia Ciudadana Foundation and, the Transparent Salta Foundation. Its purpose is to generate a concrete impact on public policies linked to the prevention and mitigation of corruption in all corners of the country. It is a dynamic space that allows generating greater incidence in public policies, promoting citizen participation and access to public information as essential tools in the fight against corruption, and even carrying out concrete judicial actions in a joint manner. Among its objectives is the generation of spaces for discussion on different problems related to the phenomenon of corruption and intervention mechanisms; joint work on advocacy for the implementation of public policies that aim to generate integrity systems at all levels of the State; and advise other social organizations in the implementation of anti-corruption tools and social control of public management. International Advocates’ Working Group (IAWG Network) is a network of civil society organizations and professionals working on transparency and accountability actions in international financial institutions (IFIs). It is a space dedicated to share information, experiences learned, best practices and strategies around the accountability of the IFIs. The working group is made up of advocates from around the world who work locally, regionally and globally.